The Pamper Zone is a great way for you to look and feel refreshed. Why not relax, enjoy and revitalise the inner you? The Pamper Zone was established to aid the well-being of communities through using a range of therapists and skilled entrepreneurs. 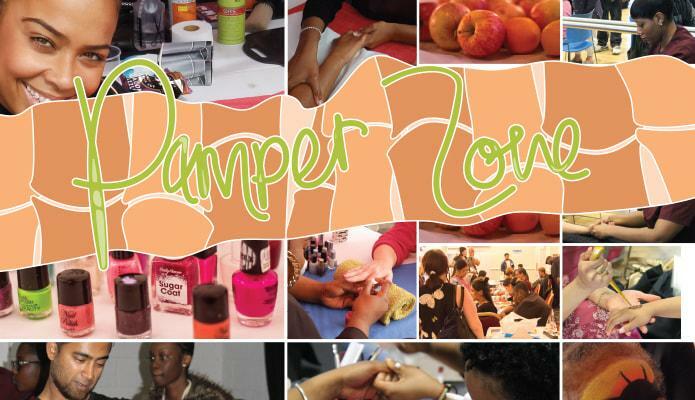 The Pamper Zone was created by Common Unity to offer the citizens of Birmingham an opportunity to engage with their own selfcare and improve their well-being. Hi, I manage a service for family carers of people with dementia, in West Birmingham. We are holding a marketplace event to celebrate carers week on the 11th June. I am looking for some pamper sessions for the carers. Would this be the sort of event you could help with? Thanks for enquiring about the Pamper Zone. I’ve passed your information on to the lead of the Pamper Zone who will be intouch via email, if you would like to talk to us directly our telephone number is : 0121 554 9360 ext 4 (common unity).